Tomatoes are fun to grow. The only problem is that they take up plenty of room, you need to make sure that you account for this along the way. I started my seedlings in my toilet paper roll starters to begin. 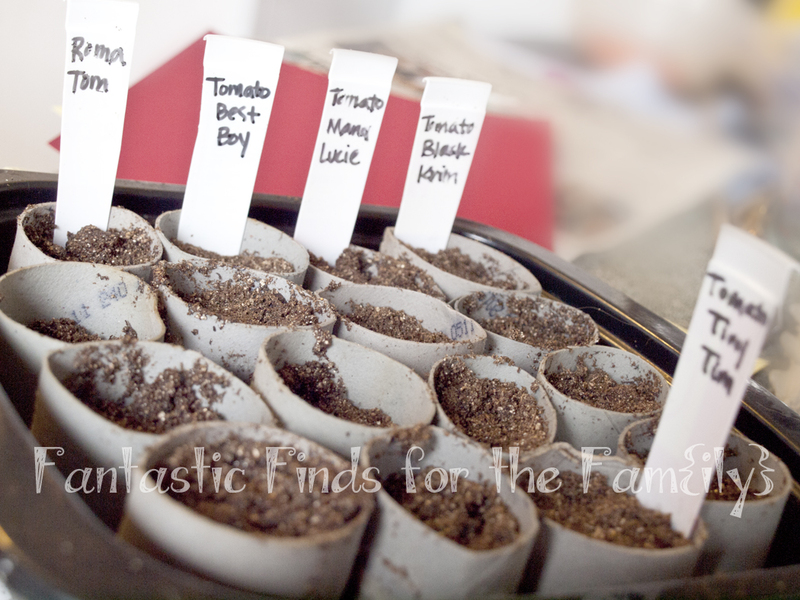 I prefer to start seeds out in a small setting and then move from there. There are many different varieties, and it is always important to pay attention to the packaging and the specific directions for your varieties. 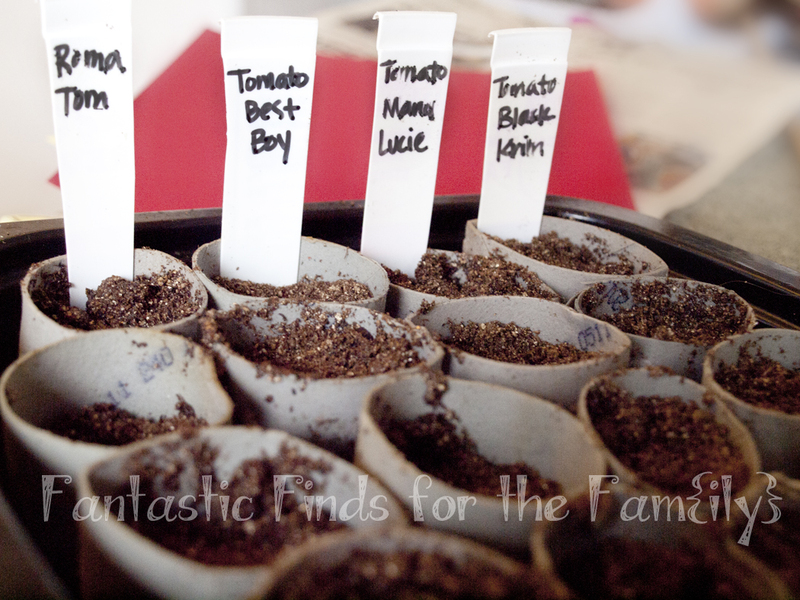 This year, I am growing Roma, Tiny Tim, Best Boy, Mana Lucie and Black Krim tomatoes. Each of these came with slightly different directions to start. I'm going to talk here in generic terms, and occasionally talk about more specific varieties. Tomatoes need about 60 degree temperature to germinate and can take anywhere from 3-8 weeks to germinate depending on the variety. Start these seedlings about 6-8 weeks before the last frost to ensure that they will have enough time to grow and be healthy before they have to go outside. When they have two to three leaves, you'll want to transplant them into larger pots, and for these, I used my newspaper seed pods. You'll need them in about a 3" pot at this point. 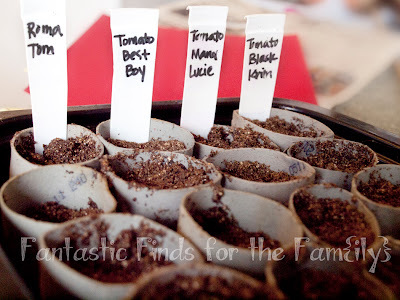 As with all indoor starting seeds, you will want to harden them off before they go outside, as they will not be used to the wind and varying degrees of temperature that await them in the garden. When you go to place them in your garden, you'll want to plant them deeply, with the first true leaves from the plant just above the soil level. This will stimulate root growth on the base of the stem and make the plant much more sturdy as it grows. Another thing that you can do to make sure that your plant is stable is to trellis it, or to put it in a cage. Remember they like warm, sunny, sheltered places and do not like to be overheated. Depending upon the variety, you can expect to see fruit in about 70-130 days after you plant the tomatoes.